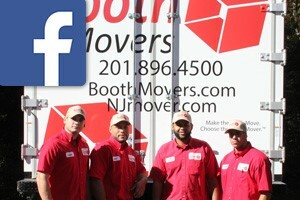 Bergen County Mover Review by Linda S.
I need to commend all parties involves in this process. I especially want to commend Christine Kirby who gave us incredible customer service. Without her knowledge and help we may have used another carrier. She worked so well with Atlas assuring us that we would have a stress free move. She was right.. Atlas was incredible. I believe my mover's name was Mike and he was awesome - even moved a huge sofa up 17 stairs by himself. With all said and done- I would definitely recommend Booth to anyone looking for a great move and if Christine answers the phone- you are in for a smooth ride. . Thank you so much and thank you Christine Kirby for relieving the stress we thought we may encounter in finding a moving company. Wahooo! Christine is the best! Thanks Linda.